**A little correction to our recording. This movie release has been pushed back by FIVE MONTHS, so the actual release date is August 9th 2019** It’s Trailer Trash Tuesday, y'all! Where did Bernadette Go? Does anyone know? Britney and Brad sure don't, but they are interested to find out. 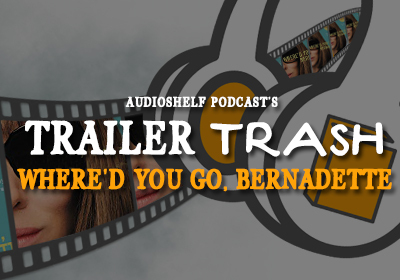 Follow along with AudioShelf as they discuss their reactions to the book-to-movie trailer for Where'd You Go, Bernadette? Staring Cate Blanchett and Kristen Wiig. Gardens are for plants—not girls! 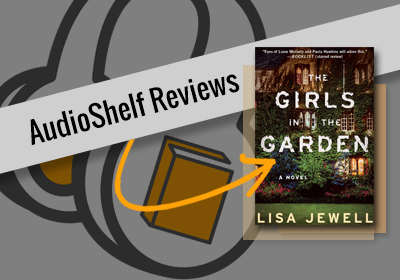 In this episode, Britney and Brad chat about the audiobook The Girls in the Garden by Lisa Jewell. 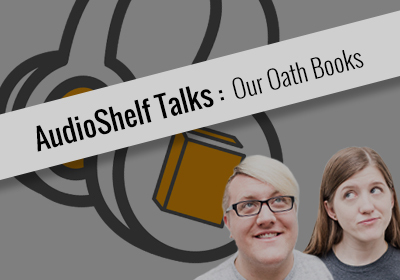 Britney and Brad tend to gravitate to gripping psychological thrillers, but does The Girls in the Garden have what it takes to impress the AudioShelf team? Or will it be just another weed to pluck and throw away? Gilmore Girls. Sabrina the Teenage Witch. The X-Files. Buffy the Vampire Slayer. Dawson’s Creek. Dr. Quinn The Medicine Woman. What do all these tv shows have in common? THEY ALL HAVE NOVELIZATIONS! 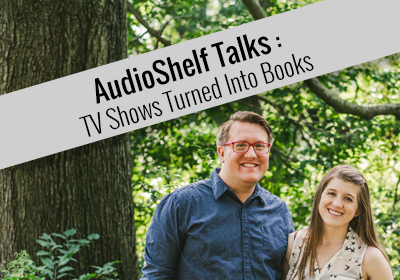 Join Britney and Brad as they discuss how some classic tv shows get the literary spotlight and have several published books to further their fandoms. A man who writes romantic comedies? Sign us up! Drew Davies has cast a love spell on us with his debut novel, The Shape of Us. Now, he charms us over in his first ever podcast interview. 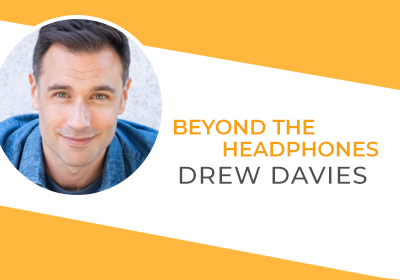 We discuss how he got his stardom in a risqué soap opera, his inspiration for his “love letter to London,” and what’s coming up for the new author. Also, we play a little AudioShelf game with him where we ask: WHAT WOULD DREW DO? If you don’t judge books by their covers, you’re lying. 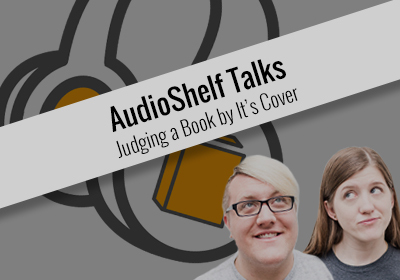 In this episode, Britney and Brad discuss what makes a book cover stand out and grab their attention. Is the cover the reason why you’re reading what you’re reading now? 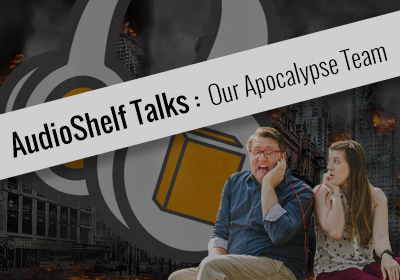 Be sure to let us know your thoughts on the topic. Every now and then a novel comes and smacks you right in the face because you weren’t expecting it. 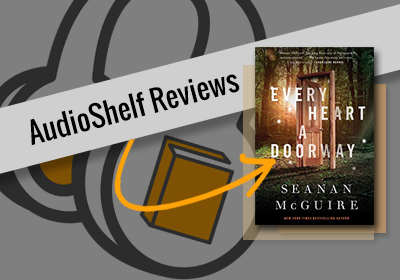 Every Heart a Doorway is one of those novels for Britney and Brad. The story introduces a boarding school that is home to several wayward children who have been ousted, neglected, and traumatized to the point of no return. Could this dark and powerful novel be your next read? 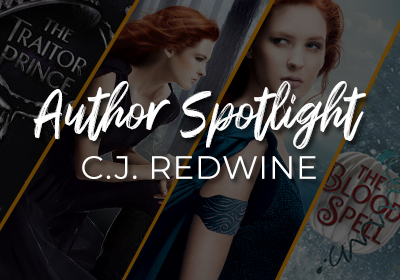 For our FIRST author spotlight we are featuring a creator who writes young people in an extremely honest way. 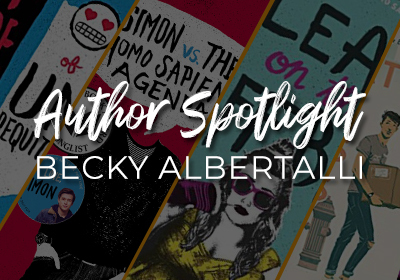 Becky Albertalli is giving teens a voice that teaches, enlightens, and makes readers look past someone's looks and focus in on their heart. If you've read her novels, how has she impacted you? And if you haven't, what are you waiting for?! Teen, YA, or adult, Becky's books teach lessons that speak to all age groups!